Buy Generic Malarone (Atovaquone/Proguanil) tablets with a fast, free online consultation. 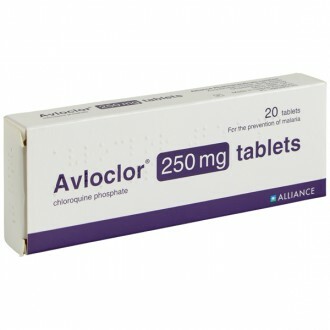 Atovaquone/Proguanil are the generic names given to tablets that contain the same active ingredients as branded Malarone tablets. They work together to kill any malaria parasites present in your blood following a mosquito bite. 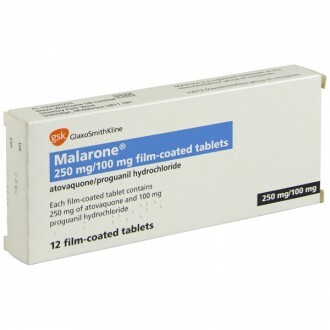 Generic Malarone tablets are an equivalent, non-branded version of the popular tablet for malaria prevention, Malarone. How much does generic Atovaquone cost? That depends. Being non-branded, it is often cheaper to buy than branded Malarone. 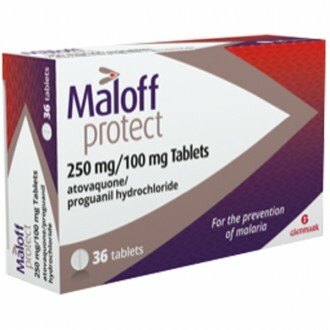 Atovaquone/Proguanil Tablets (Generic Malarone) are available to buy from The Independent Pharmacy Online Doctor service, following a free consultation, to help prevent malaria. To find out more about malaria and see all the available treatments, see our Malaria page. Atovaquone and proguanil are now available as a generic alternative to Malarone. They are still manufactured to the same high standards as Malarone but are available at a lower cost because the patent on the Malarone brand has now expired. They are taken once daily for malaria prophylaxis, 1-2 days before travel and continuing 1 week after returning. Atovaquone oral suspension (generic Malarone) contains the active ingredients: Proguanil Hydrochloride 100 mg and Atovaquone 250mg. Its main use is for the prevention of malaria. Atovaquone/Proguanil Tablets are classified as a prescription-only-medicine (POM). Each box contains 12 film-coated tablets. Atovaquone and Proguanil are both anti-parasitic drugs, which are active against the malaria-causing plasmodium (malaria) parasite. Once the plasmodium parasite enters the bloodstream it begins to reproduce, which can result in malaria. Proguanil works by inhibiting the parasite’s ability to reproduce. It does this by blocking the action of an enzyme (dihydrofolate reductase) found inside the plasmodium parasite. Dihydrofolate reductase is essential for the parasite, enabling it to reproduce. By blocking dihydrofolate reductase, Proguanil prevents the formation of any new genetic material, rendering the parasite unable to reproduce and multiply. Atovaquone works in a similar way to Proguanil. It inhibits the production of new genetic material from inside the malaria parasite, resulting in an inability to reproduce. Both these ingredients combined work effectively together in a dual attack against malaria, helping to prevent an infection from taking hold. 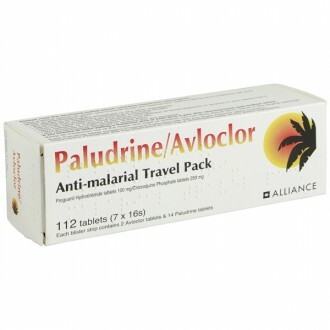 Atovaquone/Proguanil are highly effective against the strains of malaria caused by the plasmodium falciparum parasite. This parasite is responsible for producing the most serious form of malaria (malignant malaria). For areas where the plasmodium falciparum parasite is predominant, Atovaquone/Proguanil will usually be the recommended choice of prevention. 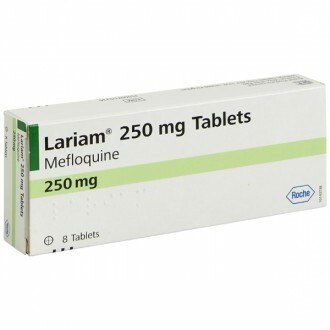 Chloroquine has been used for some time to prevent malaria, but Atovaquone/Proguanil may be more suitable in areas where there is a known resistance to this form of antimalarial medicine. Chloroquine-resistant malaria is now found in almost all malarious areas of the world, except for Haiti, certain rural parts of Mexico and Central America, and some areas of the Middle East. Another key difference is that Chloroquine is taken weekly, whereas Atovaquone is taken daily. Lyme disease and babesiosis are both caused by ticks. Atovaquone has been used in clinical trials to treat lyme disease, alongside Azithromycin. However, we do not currently provide generic Malarone for the treatment of babesiosis or Lyme disease. Please read the Patient Information Leaflet for side effects and additional information. Pharmacist Tip: Atovaquone and proguanil should not be taken if you are pregnant or breastfeeding. It is generally very well tolerated with only mild intestinal upsets and headaches reported. If side effects are experienced then taking the tablets with or after a meal may help to relieve them. You should take one tablet every day at roughly the same time each day. Atovaquone/Proguanil tablets need to be taken 1 – 2 days before entering an area where malaria is present and continued until 7 days after leaving the malaria area. Atovaquone/Proguanil remains effective with a moderate alcohol intake. How and when do I take Generic Malarone? Generic Malarone is a one-a-day dose that you need to start taking 1-2 days before you travel. It is continued every day during your stay and also for an additional week after you return to a Malaria-free area. For example if you were travelling for 2 weeks you would need 23 tablets. That’s 2 (before you travel) + 14 (during your stay) + 7 (upon your return) = 23 tablets. It is important to complete the course as it can take 7 days to ensure any parasites that remain in your blood are effectively killed. It is advised to take Atovaquone/Proguanail tablets with food and drink where possible. This can increase the absorption in the body, increasing its effectiveness and possibly reducing side-effects. If you do experience side effects from Atovaquone/Proguanil they may include coughing, diarrhea, dizziness, headache, loss of appetite, mouth sores, nausea, stomach pain, vomiting, or weakness. 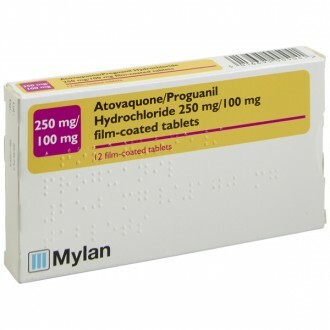 Atovaquone/Proguanil has a small risk of nausea, vomiting, diarrhoea, and skin rash as with all medicines. Please read the Patient Information Leaflet enclosed with your medicines for a full list of side effects. You should not take generic Malarone if you are allergic to any of the ingredients in Atovaquone. During your consultation, let the doctor know whether you have any known allergies to other medicines, foods, or substances. Possible allergic reactions to Atovaquone include skin rash and swelling. Should you experience either of these symptoms, seek the appropriate treatment and switch to a different form of malaria prophylaxis. We are often asked about Atovaquone drug interactions, in particular whether it affects birth control or the contraceptive pill. Malarone does not decrease its protection, therefore you can continue your contraception as usual. A small number of medications are known to interact with Atovaquone/Proguanil, including Rifampicin, Rifabutin, Metoclopramide, Tetracycline, and Warfarin. The effectiveness of Atovaquone has also been shown to be limited in those suffering from liver disease, feeding problems, diarrhoea, and malabsorption syndrome. For best absorption, it’s recommended to take Atovaquone/Proguanil with a meal or milky drink. A further common question is: does Atovaquone cause weight gain? According to some reports, weight gain is one side effect that can occur among people who take generic Malarone, particularly in females over 50 who have been taking the drug for less than one month. Each tablet contains 100mg of Proguanil Hydrochloride and 250mg of Atovaquone as the active ingredients. Tablet core: poloxamer 188, microcrystalline cellulose, hydroxypropyl cellulose, povidone K30, sodium starch glycollate (Type A), magnesium stearate. Tablet coating: hypromellose, titanium dioxide (E171), iron oxide red (E172), macrogol 400 and polyethylene glycol 8000. Atovaquone/Proguanil should not cause a harmful interaction with any of your other current medicines. Please read the Patient Information Leaflet enclosed with your medicines for further information. Unfortunately Atovaquone/Proguanil is not 100% effective at preventing malaria, however it is still very effective if taken properly and combined with bite avoidance methods. See the Pharmacist Tips for bite avoidance techniques. Things to be aware of before considering or taking Generic Malarone. Should you be taking any of the above medication it will be necessary to seek medical advice before deciding upon the most suitable treatment. Please read the Patient Information Leaflet enclosed with your medicines for further information. Atovaquone/Proguanil tablets are an anti-malarial medication. 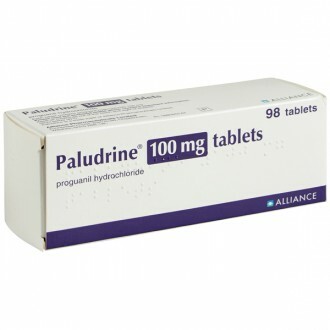 The tablets contain two active ingredients, atovaquone and proguanil. They are used to prevent malaria spread by the bite of mosquitoes encountered in tropical countries whilst traveling. Malaria is caused by four different organisms all belonging to the family called plasmodiums. The fiercest strain is Plasmodium falciparum which can cause malignant malaria. Atovaquone/Proguanil tablets are most effective against the falciparum strain and less effective against the others. Malaria can lie dormant and resurface weeks, months or sometimes years after you return from your trip. Always see a Doctor if you have flu-like symptoms up to a year after returning from a malaria zone. Atovaquone and proguanil both interfere with the cell replication of the malaria parasite meaning it cannot replicate in the bloodstream, therefore preventing infection. When used in combination, progaunil makes atovaquone more effective. How do I know these tablets are right for my trip? Malaria is a disease can be caused by four different strains of malaria parasite. There are different treatments depending on the strain that is most common in the area you are traveling in. The appropriate malaria treatment also varies depending on the levels of drug resistance that the malaria parasites in each location have developed. To ensure you have chosen the right medication for you trip we recommend you visit the government Fit For Travel website. It is a comprehensive and continually updated site which has the travel information needed to make you trip a safe one. How do I take Atovaquone/Proguanil? For adults 16 years and over who are over 40kg, take one tablet daily. Preferably at the same time each day with food or a milky drink (this helps to prevent most of the common side effects and increases the drug absorption, making the medicine more effective). The course needs to be started 1-2 days before travel, taken for the entire length of time you are in the malaria zone and for 7 days after. It is important to finish the course and take the 7 tablets after you have exited the malaria zone, even if you have returned home (parasites from an infected bite will need 7 days of treatment to ensure they are killed). If you miss a dose, take the tablet when you next remember. If too much time has elapsed, carry on as before. Continue taking one tablet a day until the course has finished. Do not take more than 1 tablet a day. A replacement tablet needs to be taken if you are sick within an hour of taking a tablet. Continue taking the course as before until there are no tablets left. You can crush the tablet and mix with honey, yoghurt or jam but it must be consumed straight away. We understand that calculating how many tablets you may need for your trip can be difficult and confusing. When ordering, enter the amount of time that you are in the malaria zone and we will calculate how many tablets you need (including tablets for before and after your trip). No prophylactic antimalarial tablet is 100% effective and it is important to continue to use mosquito nets, DEET-containing insect repellents, and other measures at the same time as the medication to prevent mosquito bites. How effective are they at preventing Malaria? Atovaquone/Proguanil tablets are very effective at preventing malaria. To ensure that you minimise your risk of contracting malaria as much as possible, confirm that these are the correct treatment option for your destination, take your tablets regularly and always complete the full course. As no preventive treatment is 100% effective, it is still important to avoid mosquito bites wherever possible. Is it safe to use Atovaquone/Proguanil continuously? Atovaquone/Proguanil is the newest of the anti-malarial medications that is currently available. It is normally recommended for use in trips to a malaria-risk zone for up to 28 days. There is no evidence of any adverse effects if it is used for longer. What are the side effects of Atovaquone/Proguanil? The most common side effects include headaches, nausea, vomiting, diarrhoea and stomach/abdominal pain. These are experienced by approximately 10% of patents and most can be prevented if the tablets are taken with food or a milky drink. Less common side effects that affect fewer than 1% of patients include: fever, cough, dizziness, loss of appetite, rash and difficulty in sleeping. If any side effects become severe you should see a doctor to discuss the risk of not taking your tablets or to chose an alternative anti-malarial. Does alcohol affect Atovaquone/Proguanil tablets? There is no known interaction between Malarone and alcohol. Malarone may you feel dizzy, if this occurs, avoid alcohol consumption, as it will make the dizziness worse. Who should not take Atovaquone/Proguanil tablets? Are pregnant, breastfeeding, or planning to become pregnant in the next 3 months. Weigh less than 40 kg (a paediatric version is available for children from your doctor). Have an allergy to either of the active ingredients atovaquone and proguanil. Rifampacin and rifabutin (antibiotics used for the treatment of TB). Tetracycline (an antibiotic commonly used for acne and other skin conditions). Warfarin and other blood thinning agents. Are they suitable during pregnancy and breastfeeding? A study to show whether Atovaquone/Proguanil tablets are harmful to pregnant or breastfeeding mothers has not been carried out. However, there is documented evidence to show that each of the individual active ingredients should not be administered to pregnant and breastfeeding women as they can be harmful to the child. We recommend that you speak to you Doctor who will assess the benefits and risks of prescribing the medication to you. Can they be used for all travel destinations? Atovaquone/Proguanil is not indicated for all travel destinations, as it is only effective against certain strains of malaria parasite that occur in specific areas in the world. Check the government Fit For Travel website for an up-to-date list of the medication and vaccines recommended for your trip. What should I take: Atovaquone/Proguanil or Doxycycline? Some people prefer Malarone (or in this case, its generic version) because you only need to take it for a week after leaving a high-risk area whereas with Doxycycline you will need to continue to take it for 28 days. Doxycycline is a cheaper option compared to branded Malarone but the unbranded Atovaquone/Proguanil costs less than its branded counterpart. A further factor to consider is that Doxycycline can cause increased sun sensitivity, so a higher SPF should be used to combat this side effect. 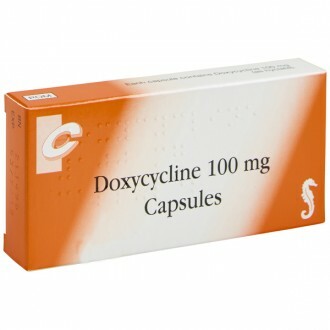 Doxycycline is actually an antibiotic treatment, which is also used for the treatment of infections like Chlamydia.